Over on Places, there is a thoughtful essay on Owens Lake by english professor and Ridgecrest native, Karen Piper, titled ‘Dreams, Dust and Birds: The Trashing of Owens Lake’ about the unfeasible proposed solar farm. Beyond offering some fresh views on the infrastructural void left by the Los Angeles Aquaduct, the editors at Places asked to use one of my photos (above)! Spotted on Strangemaps is a great post about John Westley Powell’s Report on the Lands of the Arid Regions of the United States, which presented an alternative to the orthogonal public land survey system dominated boundaries of the western states. Since Owens Valley is a reoccurring topic here on InfrascapeDesign, it’s rather fascinating to see Owens lake and the outlines of the Pleistocene Lake Manley that are discernible in the larger versions of the map (see below). A larger PDF of Powell’s map is here from the aqueousadvisors, who credits William deBuys’s book and the USGS annual report for the reproduction of the map. Other posts about Powell’s map on ecopolitology, & good. Just bought 147 Tips for Teaching Sustainability: Connecting the Environment, the Economy, and Society by Timpson with a who’s who of sustainability (David Orr & more). Yes, I do occasionally will spend my own $$$ on books. Got a bunch of great tips that will enrich both class that I’m teaching this semester (LA 1001 and LA 4002). While it seems aimed at k-12, the book seems useful for folks teaching higher-ed, and even nursery school too. 140. Create a Peer Culture of Behavior Change. This is my new motto for the spring. Are you a wide-eyed skeptic that demands precision too? Tip # 148 – this book is worth reading if you give a damn about the future of the planet and find yourself anywhere near a classroom! Dan Hill of CityofSound wrote an amazingly lucid post about experiencing the flooding in Queensland and what some of the long term implications for infrastructure and the city might be. …In less than four years here, I’ve become aware, in a very visceral sense, that Australia suffers extreme weather so regularly that it doesn’t really make sense to talk of it as extreme. When extreme becomes regular is it still extreme? …But there is nothing around us, barely pavements, and now the connecting infrastructure of roads is so easily compromised. ‘Network redundancy’ is not a particularly motivating term for wider propagation, but it will be an increasingly important idea for Australian cities, whether they like it or not. The flood makes that much clear. Certainly worth reading the entire post. A resilient city is sustainable in its economy, environment, and community, but it has a deeper quality which enables it to quickly adapt to challenges and rebuild itself for any challenge it faces. This is a spiritual quality, which we can see in individuals, families, communities, and businesses, when they are able to face their problems honestly and reinvent themselves rather than live in denial. The reality of the peak oil and climate change crises is that most cities are in denial and not prepared for the big changes that are required. Green infrastructure has moved from being “the bits left over in urban design” to being “sensitive to the underlying ecology,” and a concept that needs to be respected. Now we need green infrastructure to go to a third level — to help facilitate the Resilient City. 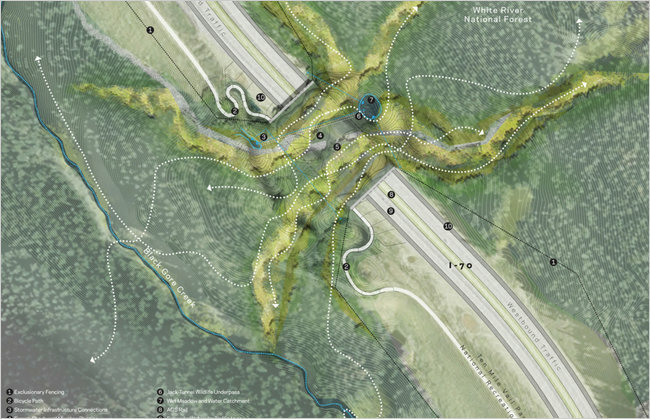 This will require green infrastructure to have an integrated function in recreational activity, regenerative activity (carbon sinks and biodiversity), and regional agricultural activity.